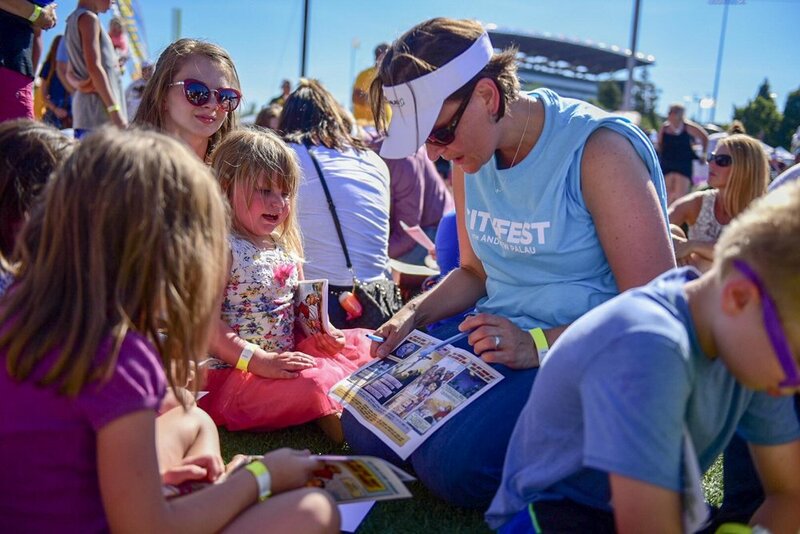 The Lord worked in awesome ways in Lane County this last week at numerous outreaches and CityFest on July 28 at PK Park. The event was a fun-filled day of music, action sports, activities for kids, and multiple opportunities for individuals to hear a powerful message of hope in Jesus Christ. The event featured award-winning artists TobyMac, Tedashii, and Rend Collective, and a message of hope from global speaker and author Andrew Palau. 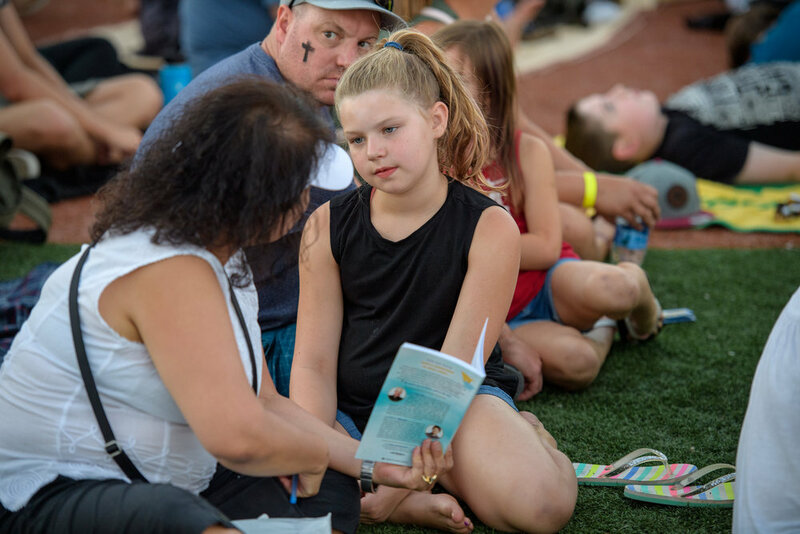 There was something for everyone including an interactive family fun zone filled with inflatables, games, crafts, and sports challenges, and a children stage show featuring ventriloquist Mark Thompson. There was also demos of awe-inspiring stunts from professional skaters and BMX and freestyle motocross riders. We have been amazed these last several months as we’ve watched God take the Church in Lane County, Oregon to a deeper level of unity leading many people to Christ, challenging hundreds of believers in their walk with God, and training hundreds of individuals in personal evangelism. “People in Eugene are finally seeing Eugene churches in a different light and a festival like this helps with that,” local pastor Craig Curtis said. Outreaches in the week leading up to CityFest included a breakfast for first responders, a dinner for women, outreach at a youth correctional facility, a skate outreach, and the festival on Saturday. But it all started way earlier. This festival has been in the works for years. And over the past several months we have seen the Lord unite the Church through a university outreach, the RE:NEW Gathering with Francis Chan, One Hope projects, and so much more. 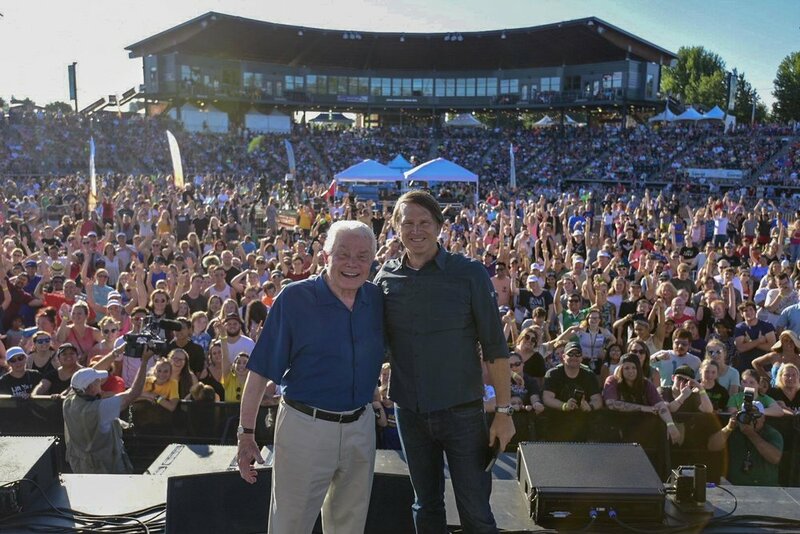 Going forward, Andrew Palau, along with the CityFest Executive Committee and the Luis Palau Association, hope the unity established through CityFest continues to deepen and spread, eventually encouraging more citywide outreach efforts and ongoing service initiatives throughout Lane County. LPA's Next Generation Alliance hosted an Extend the Impact conference in Eugene, Oregon in conjunction with CityFest. At the conference, attendees explored innovative evangelism models and discussed the future of evangelism, and opportunities to collaborate and network with other evangelists. LPA President Kevin Palau led the group in beautiful and humble prayer through scripture. Guest speakers included pastors and teachers Lukian Efseaff, Josh Rivas, Nick Hall, and Palau members David Jones and Tom Mueller, as well as elite drummer and NGA evangelist Zoro. “These conferences provide evangelists an opportunity to exchange ideas and explore open doors to work together,” said NGA Vice President David Jones. NGA will hold conferences for evangelists this year in Chicago, Eugene, Grand Rapids, Atlanta, Dallas and Bogota, Colombia. Cityfest's “Evening of Hope” proved to be an inspiring night of encouragement and Good News. With nearly 400 women gathered at the beautiful Silvan Ridge Winery in Eugene, they heard numerous stories of hope and redemption from women all around the world, sharing how they found true fulfillment, peace, and joy after making a decision to follow Jesus Christ. The “Stories of Hope” theme resonated all throughout the evening as the hope of the Gospel was presented with joy and clarity. Speakers Kristin Wall and Wendy Palau both shared their own testimonies and personal stories with grief, doubt, and finding out that God is better than they ever thought before. The Holy Spirit was truly at work throughout the night. Not only was it a memorable evening for all who attended, but more than 100 women indicated a confession of faith in Jesus Christ by the end of the evening. Andrew hit the ground running when he arrived in Eugene, Oregon, preparing for a week of outreach throughout Lane County. Tuesday morning began with a breakfast honoring more than 100 First Responders. “First I want to say ‘I’m so sorry’,” Andrew joked with the crowd about his days of living at a frat-house in college in Eugene. Andrew and guests speaker Jerry Dyer, Police Chief of Fresno California, both shared their life stories of pain and redemption and healing, and how a relationship with Jesus changed everything. In total, more than 23 attendees made confessions of faith in Jesus as a result of the breakfast.